While the title of Episode IX hasn’t even been revealed yet, it seems that some highly interesting concept art found its way to Reddit this week. 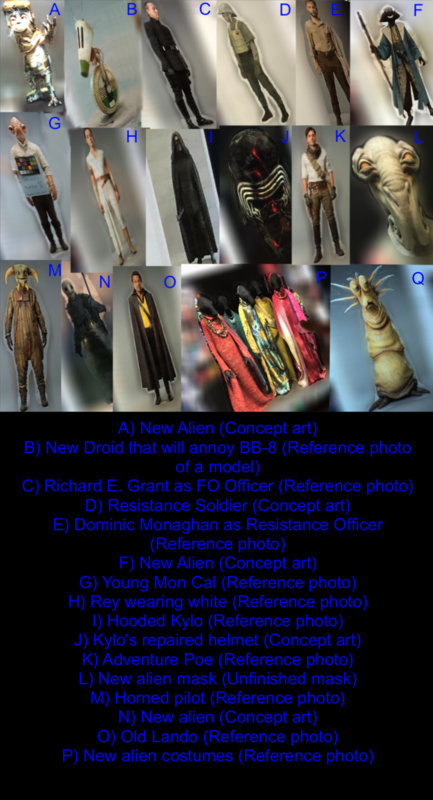 A single image consisting of multiple pieces of concept art and reference photos was posted in the subreddit r/StarWarsLeaks, which you can check out here for yourself. Interestingly, the concept art does reveal (spoilers ahead) a familiar face. Photo O appears to show an older Lando Calrissian, wearing an outfit similar to Donald Glover’s in last year’s Solo: A Star Wars Story. Other photos appear to show robots and aliens, as well as two thirds of the Sequel Trilogy Trio: Rey can be seen wearing an all-white outfit, while Poe’s is referred to as ‘Adventure Poe’. Surprisingly, Kylo Ren’s helmet also seems to be repaired in this latest entry of the Star Wars saga. There is no say in exactly how authentic the concept art is, however.